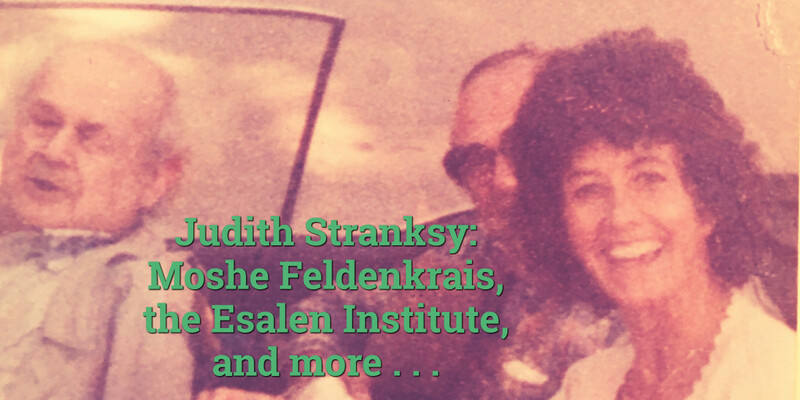 Recently I had the great pleasure to talk with the delightful Judith Stransky about her experience studying with Moshe Feldenkrais when he first came to the United States. 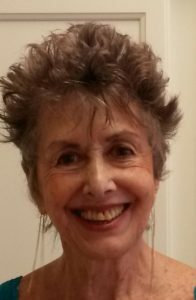 Judith, who is both an Alexander teacher and a certified Awareness Through MovementⓇ teacher, is one of the unsung heroes in the history of Moshe’s method. 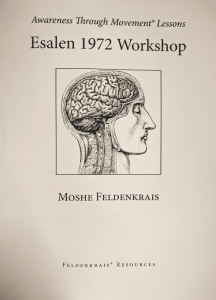 The transcripts of the ATMⓇ lessons that Dr. Feldenkrais taught at the Esalen Institute in 1972 are among the fundamental texts of the method, used by teachers and in FeldenkraisⓇ teacher trainings the world over. Our wide-ranging conversation spanned the decades from Judith’s introduction to the method in Israel to the last time she saw Moshe. I was delighted by her down-to-earth and insightful. Even better, at almost every turn, as she provided the kind of details that only someone who had been there would know, I learned something new about how the method and how it developed. For instance, she clarified the true nature of the course at Esalen, which, up until that moment, I’d mistakenly referred to as a “workshop.” (It was, in terms of its promotion, intent, and outcome, a training for ATM teachers.) Recounting what Moshe taught and how he taught, she let’s us in on what happened, behind the scenes, between the participants and Moshe, revealing how the terms for the method came to be and so much more. I invite you to listen to my 59 minute and 59 second interview with Judith. You can stream interview on any Internet-enabled device of your choosing or you can download it for later.